Timothy Geithner could not have been more blunt: Why, asked Oregon Sen. Ron Wyden, had Geithner failed to adequately regulate the banking giant Citigroup during his tenure as president of the Federal Reserve Bank of New York? “Should your supervision have been more effective?” Wyden demanded of Geithner, then on his way to eventual confirmation as Treasury secretary. “Absolutely,” Geithner responded. But he did not elaborate. That was five years ago. 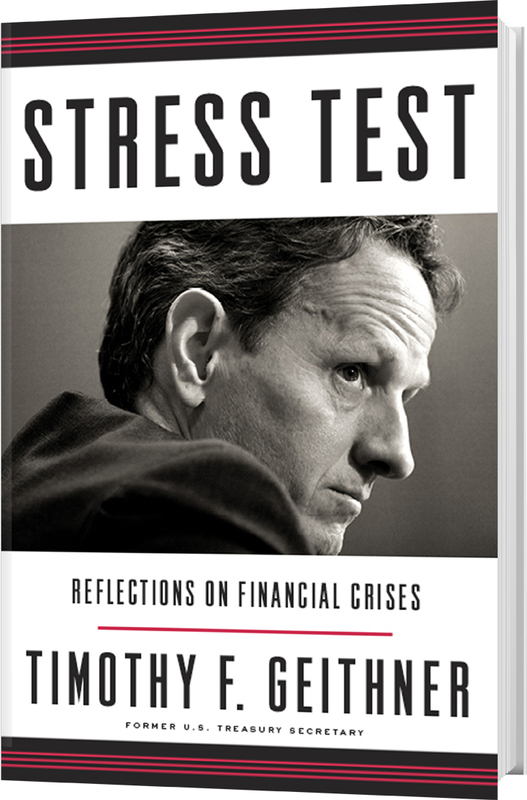 This week, Geithner provided a fuller mea culpa with the release of ” Stress Test,” his book on the financial crisis. It does elaborate 2014 albeit modestly 2014 on his oversight of Citigroup, including issues our reporting raised about his time at the New York Fed. The Federal Reserve supervises bank holding companies. The New York Fed is responsible for firms based in the region, including Citigroup. The largest institution under Geithner’s watch, Citi required the biggest bailout 2014 $45 billion in taxpayer funds plus other federal support. One of his key mistakes, Geithner writes in the book, was failing to realize that Citi’s equity, or capital, was weak. Capital is the cushion meant to protect a bank from losses and, ultimately, insolvency. Curiously, at another point in his book, Geithner writes about how focused he was, in general, on the issue of bank capital.”I spent most of my time trying to understand whether banks under our supervision had enough capital,” the book says. In articles before and after Geithner’s confirmation as treasury secretary, ProPublica examined his supervision of Citi, including the bank’s weak capital, risky lending practices and the failure of the New York Fed to use its enforcement tools to strengthen the bank. The articles reported on Geithner’s ties to Robert Rubin, Geithner’s mentor, a former treasury secretary under President Clinton and a senior executive of Citigroup during the bank’s high-flying years. Geithner’s calendars, obtained by ProPublica, showed that in 2007 and 2008 he had dozens of discussions with executives of Citigroup, including Rubin, more than with any other firm. In a 2009 interview, Geithner told ProPublica that such meetings were routine and that Citi was not treated preferentially because the New York Fed’s system of checks and balances insured its independence. Rubin resigned his job as a senior counselor at Citi in January 2009, prior to Geithner’s confirmation. The bulk of the Geithner’s 580-page memoir is a look back at how, as treasury secretary, he helped end the financial crisis and put in place reforms.